I am thrilled to be able to teach piano and voice lessons to students in Vermont, England and even Australia without leaving my studio! Skype (and Facetime) have created the opportunity for pianist and vocalists of all ages and levels to study with a New Yorker. All you need is a PayPal account, an internet connection and we’re good to go. I can text or email our lesson notes/sheet music as we go. Check out my teaching website or email me at brendaearle30@gmail.com for more info. I played a really cute birthday party for a one year old, with a Breakfast at Tiffany’s theme. I sang and played two sets of grown up music with a full set of kids music in the middle. The children were aged 1-6 and they were dancing and having a ball. I got the nicest note from the mom of the birthday girl. “Thank you so much Brenda, your talent and voice are such a musical treat, not just for kids but especially adults! I’m usually really stressed out at parties but on multiplications I caught myself singing to one of your awesome tunes! . I don’t even think I realized that I was screaming Benny and the Jets at my parents!” – Monika D.
I’m always delighted when people have fun when I’m at the piano! Posted in Uncategorized	| Comments Off on Great compliment! 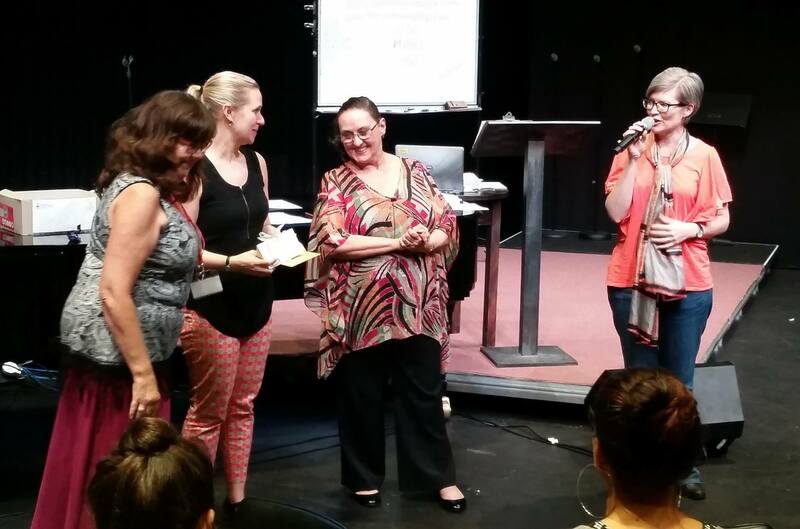 I just got back from a whirlwind trip to Toowoomba, Australia where we presented all three levels of Somatic Voicework ™ – The LoVetri Method with Jeanie LoVetri. It was a wonderful experience to share her work with forty professional voice teachers from Australia, New Zealand and South Korea! With Jeanie LoVetri, Dr. Melissa Forbes and Brisbane based pianist/vocalist Sharny Russell.